The patent world is full of technologies that support the Earth. From solar panels to ever-more-efficient batteries to new recycling technologies, inventors throughout the USA are working to protect our environment. Oil companies, working alongside environmental organizations, scientists, biologists and engineers have developed numerous solutions for spills occurring both on land and in the water. Water spills can now effectively be cleaned by presses that involve straining and draining while containing the oil slick, using “floating booms” to corral the oil while skimmers and vacuum pumps cleanse the water and reclaim large percentages of the spilled oil. Another “eco-friendly” oil spill management method for both water and land spills is called “Bio-Remediation. It’s a technique that uses living organisms such as bacteria and fungi to degrade, break down and in some cases; actually eat the oil as it safely cleanses the spill without hurting the environment. Meanwhile, serious upgrading of the technology now being used for the drilling and refining of oil is cutting previous pollution levels down tremendously, as the oil industry increases profits by processing more usable oil while polluting a lot less. Oil companies are now investing billions of dollars in socially responsible programs and are quickly becoming one of the largest supporters of environmentally friendly programs worldwide. Oil is already largely responsible for many of the major advances in medicine, pharmacology and world wide health care infrastructure, but now they are some of the largest supporters of research dedicated to promoting renewable energy sources. This text was written in 2009; whether it remains true in the new administration or not is questionable. Our current administration is not friendly toward our planet, and that fact needs to be mitigated through strong Congressional action that puts into statute environmental protections which have, up until now, been administrative. So, along with lobbying for science, we need to lobby for statutory control of air pollutants, water pollutants, increased use of green energy sources, and all the rest of the stuff formerly regulated by the Environmental Protection Agency. 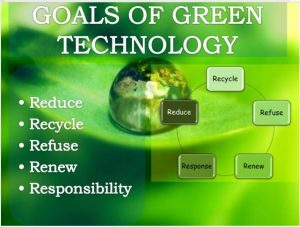 There is so very much technology out there already to support an eco-friendly country … we just need to have the backing of the government to continue to develop and use it. This is a good article about the taxability of crowdfunding. But who owns the intellectual property in a crowdfunding situation? Does the inventor or author always get to keep the rights to the Big Idea they fund? Well, as with whether a crowdfunding campaign is taxable or not, that depends. Intellectual property is transferred by agreement between the owner of the rights (the originator of the work or an assignee) and the assignee of the rights. If the originator of the work assigns the work to another, then that other owns those rights. If s/he does not, then that other does not own those rights. So what makes a valid transfer of rights? A signed writing that transfers the rights. This need not be a contract; there need be no consideration. That writing can be a “work made for hire” agreement, in which the originator of the work agrees that s/he has been hired by another to create, and the results of the creation belong to that other. That writing can be an assignment of rights, in which the originator of the work assigns the rights to another. This assignment can take the form of a contract (offer, acceptance, consideration), or it can be a simple assignment without the trappings of contract. Without that signed writing, though, the IP rights remain with the current owner, who may be the originator or an assignee. If the crowd were to get rights to the intellectual property it funds, the owner of those rights must assign those rights to the crowd. That doesn’t happen very often; in fact, I know of no instance in which the crowdfunders have shared in the IP rights their funds help to develop. The crowd must generally settle for something else. Stock, for instance. Or a sample of the product. Or even just a T-shirt. But IP rights? Possible, but not likely. Crowdfunding and venture capital are entirely different in this regard. Venture capitalists regularly take ownership interest in the company, including the IP rights, in exchange for funding. What Is the DOJ Thinking?????! The Department of Justice has basically denied songwriters a living wage from their hard work. Yuck. There is some light at the end of this tunnel, I don’t see a lot of it. This is administrative law. Admin rulings like this can be appealed at the District Court level, but not for content per se; only for abuse of power. Since there is 60-year-old precedent in place, and since federal courts are all about precedent, it will (not “would”; “will”) take a really good litigator to convince the judge to rule against the DOJ (that’s not me; I’m a transactionalist). Once it’s in the court system, it can proceed through the appeals process like any other case. I was present in the Courtroom for the announcement of the Cuozzo decision by SCOTUS. This decision makes it clear that inter partes review by the USPTO is not appealable, and that the USPTO can institute such review sua sponte (by its own initiative). It’s an interesting decision. 35 USC §312 says that petitions must be pleaded “with particularity.” Those words, in its view, mean that the petition should have specifically said that claims 10 and 14 are also obvious in light of this same prior art. Garmin’s petition, the Government replies, need not have mentioned claims 10 and 14 separately, for claims 10, 14, and 17 are all logically linked; the claims “rise and fall together,” and a petition need not simply repeat the same argument expressly when it is so obviously implied. The “No Appeal” provision’s language must, at the least, forbid an appeal that attacks a “determination . . . whether to institute” review by raising this kind of legal question and little more. §314(d). Moreover, a contrary holding would undercut the Patent Office’s significant power to revisit and revise earlier patent grants. Congress would not likely have granted the Patent Office this reexam authority if it had thought that the agency’s final decision could be unwound under some minor statutory technicality related to its preliminary decision to institute inter partes review. Congress has told the Patent Office to determine whether inter partes review should proceed, and it has made the agency’s decision “final” and “nonappealable.” §314(d). SCOTUS’s conclusion that courts may not revisit this initial determination gives effect to this statutory command. It’s an odd suit. Evidently, this Chicago lawyer is aggrieved that Avvo compiles data, including her name, from publicly available sources, then uses that compiled information to market its attorney marketing services to lawyers. She sees this as Avvo profiting from her personal information. She hasn’t paid Avvo for its services and doesn’t want them to be able to use her information for their own benefit. Since lots of other lawyers in Illinois have also not paid Avvo for their services but have their personal information used in this same way, this complaint is filed as a class action suit. It’ll be interesting to see what Avvo’s response to this complaint is. I suspect they’ll basically tell the plaintiff that her suit is a bunch of hogwash, but we’ll see. For years now, we have labored under the impression that a valid copyright exists on “Happy Birthday To You.” Evidently, that copyright’s validity is … um … questionable. It’s not often that a big, dramatic revelation happens in a court case, but in Good Morning to You Productions Corp. et al. v. Warner/Chappell Music, Inc. et al., currently before the US District Court for the Central District of California, a new piece of evidence has just turned up that turns the copyright on “Happy Birthday” on its ear. Evidently, “Happy Birthday” is a derivative of a song called “Good Morning to You,” which was published under the 1909 Copyright Act — without notice of copyright. Today, notice means little in the world of copyright, but under the 1909 Act, notice was everything. If notice of the copyright wasn’t published with the work, the copyright in the work was void. Interestingly, the important subtitle on the song’s manuscript was blurred in the version given by Warner/Chappell to Good Morning to You Productions as a document produced in discovery (late, I might add). That made people curious. With some good document analysis, the truth came out: the work was published without notice and therefore without copyright. This case is still ongoing at Docket #2013-CV-04460; no court has actually invalidated the copyright on “Happy Birthday To You,” but I don’t think we need to wait too long for the Central District of California to enter judgment on behalf of Good Morning to You Productions, voiding the copyright. We will soon be able to sing “Happy Birthday” without worrying about paying a royalty. These changes to copyright are, for obvious reasons, supported by the musicians and recording artists. Royalties for playing their pre-1972 songs on the radio, in all radio formats no less, are a really good thing for them in that the royalties add additional income to the songwriter’s purse, enabling them to have at least a larger subsistence. It might even enable some of them to leave their day jobs to write music full time, which would add bounty to the music of the culture for which they write. But wait. Let’s look at the radio stations for a minute. Radio is still a viable medium, but the radio industry has changed from the FCC-recognized model of the station and the broadcast tower and the receiver to the internet. There are literally thousands of shows run by people who want to do a radio show for whatever reason; some of those shows are talk shows, and some are music shows, and some are just junk. I worry about the music shows that play the oldies under this new law. These folks do not, as a general rule, follow the intricacies of the changes to copyright law, and, without proper publication and warning about this new royalty requirement, they could be caught in a vise from which they do not have the means to escape. I can see coming down the pike a reenactment of the RIAA vs. Music Downloaders huge number of cases of the early 2000s. That didn’t work well then; I see no reason why it would work better today. Don’t get me wrong. I support this addition to the Copyright Act. I want to see songwriters get paid fairly for their contributions to the world, and I think that pre-1972 music should be compensated just as much as post-1972 music. However, I support the addition with the proviso that the public be thoroughly and completely noticed using communication means that they simply cannot miss getting something through even the foggiest radar about this new law. I want to see and hear discussion of this new copyright provision on the news, in the newspapers, on the radio, on PSAs, and all over Facebook and Twitter, and I want to see multiple iterations of the warnings that this new law can, and probably will, cause liability for a careless radio show host for a large bundle of preventable judgment money and attorneys’ costs. This new liability will be in effect even for a fly-by-night internet radio show host. These are the folks who stand to lose the most and who therefore need to see the warning of the effect of this new addendum to the Copyright Act. Well this part of the suit against the Google Library Project is done. The American Association of Publishers (AAP) has settled with Google. Google, as you may know, took on the ambitious project of digitizing libraries to make that content available online. The Google Books site provides book excerpts for free. Not unexpectedly, this project really bothered copyright owners, and the AAP, the Author’s Guild, photographers and visual artists and several individuals filed suit to stop the project in 2005. Although the full terms of the AAP settlement are confidential, the settlement, importantly, allows publishers to opt in or out of Google Books, and thus in or out of the digitization project. The AAP settlement still does not resolve the authors’ separate suits, which are still pending in the Southern District of New York, still presided over by Judge Chin (sitting by designation after his elevation to the Second Circuit Court of Appeals).